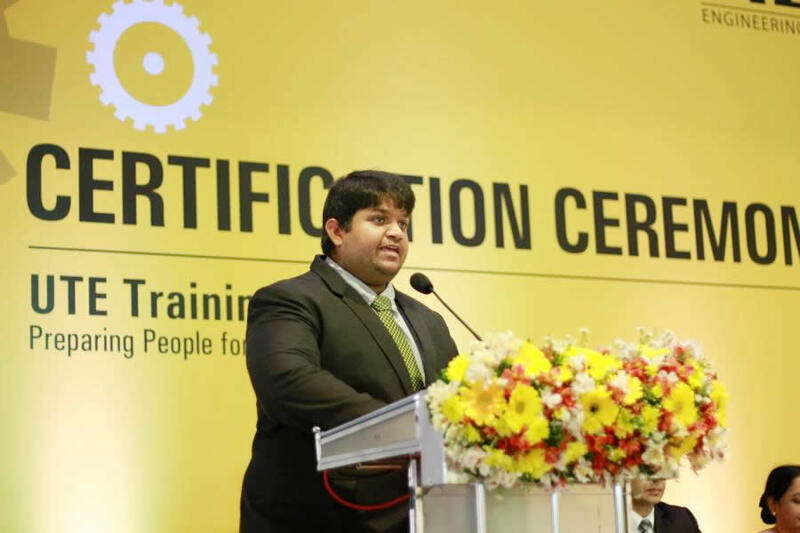 As the national engineering solutions provider in Sri Lanka, offering topnotch engineering solutions, we have identified the importance of Trained Human Resources to add more value towards the development of the vital engineering sector in Sri Lanka. 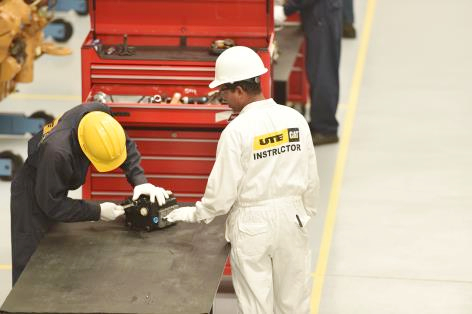 It was with this vision that the UTE Engineering Training Centre was established, to disseminate the rapidly changing knowledge capital of Caterpillar to its technical team and to the industry at large. 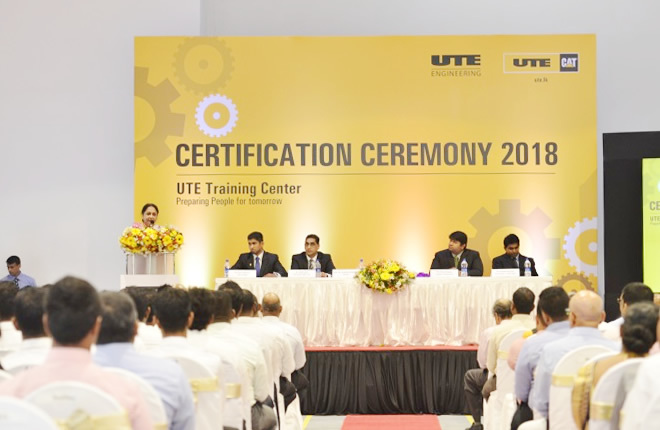 UTE Engineering Training Centre held its inaugural certification ceremony for the students who have completed the National Certificate in Construction Equipment Mechanic in 2015, 2016 & 2017 year examinations. The chief guest to grace the occasion was Professor Eng. (Mrs) Niranjanie Rathnayaka, the President of Institution of Engineers Sri Lanka. UTE Chairman – Mr. Prasan Fernando, CEO – Mr. Riyad Ismail and members from the senior management were also present at the occasion to congratulate the students. 24 students received their certificates at the ceremony which was recently held at UTE. 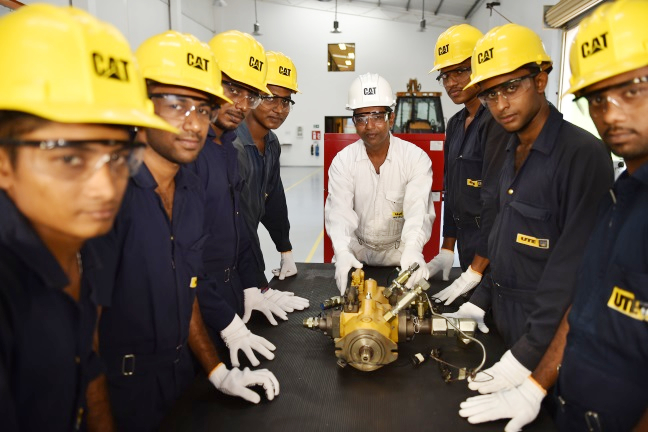 Furthermore, 42 technicians received their certificates for the competency based professional training assessments through Caterpillar University. 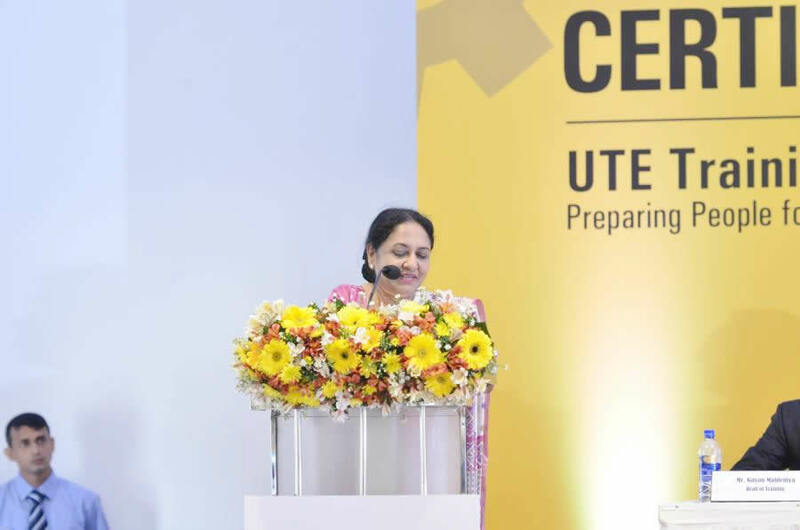 “The impressive work done by UTE to produce well trained world-class technicians to the engineering sector in Sri Lanka is commendable” said Professor Eng. (Mrs) Niranjanie Rathnayaka addressing the inaugural certification ceremony. “From the inception of its 70-year history, UTE has always invested in training its people. The rapid growth in the field of engineering which requires practical training with certified technicians recognized worldwide created a gap that UTE Engineering has now filled. Working with the vision of becoming the best engineering solutions provider in all the markets that we serve, we have identified that upgrading human capital of the industry is the best way to give back to the industry and country at large” said Mr. Prasan Fernando, the Chairman of UTE Engineering.